Dr. Coletti is a clinical health psychologist and has been a full-time member of the Division of General Internal Medicine since 2015. 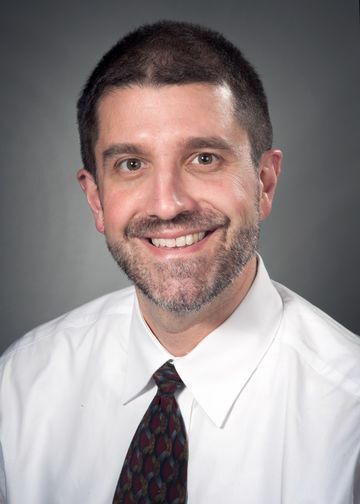 Dr. Coletti is the first psychologist within the health system to provide integrated behavioral health services in a primary care medical setting; and in his current position he provides clinical treatment, teaches medical and behavioral health trainees, and oversees a program of research and evaluation activities. A Pediatric Psychologist prior to joining the division, Dr. Coletti has served as a children’s hospital consultation-liaison service provider, researcher and administrator of a large pediatric rehabilitation system with oversight of all social service, research, and quality management departments. Along these lines Dr. Coletti currently has a particular interest in addressing the transitional care of young adults with special healthcare needs from pediatric to adult medical systems. Dr. Daniel Coletti’s research focuses on patient adherence to medical recommendations, in particular decisions people make about taking medication. He recently completed a study with Dr. Vivian Kafantaris in the Zucker Hillside Hospital Division of Child and Adolescent Psychiatry that investigated parent responses to receiving a psychotropic medication recommendation for their child. This study demonstrated that parent attitudes to medication were the most significant predictor of whether the family pursued medication treatment—and was more important than the child’s age, psychiatric diagnosis, or the severity of the child’s behavioral problems. Dr. Coletti is also collaborating with investigators from the Northwell Health Division of General Internal Medicine to identify determinants of patient adherence to complex medication regimens. We are currently analyzing data from a pilot study that is finding discrepancies between patient-reported medication regimens and the medications prescribed by their primary care providers. To address this gap, Dr. Coletti’s research team is currently developing interdisciplinary interventions to more thoroughly assess and document patient understanding of their medications, and enhance the clarity with which the medical team communicates about medication. Kafantaris V, Coletti DJ, Dicker R, Padula G, Pollack S: “Are childhood psychiatric histories of bipolar adolescents associated with family history, psychosis, and response to lithium treatment?” Journal of Affective Disorders, 51:153-64, 1998. Coletti DJ: “The psychologist in a pediatric diabetes program: The practical application of conceptual models of interdisciplinary collaboration.” Children’s Hospital Quarterly, 11:79-84, 1999. Kafantaris V, Dicker R, Coletti DJ, Kane JM: “Adjunctive antipsychotic treatment is necessary for adolescents with psychotic mania.” Journal of Child and Adolescent Psychopharmacology, 11:409-14, 2001. Kafantaris V, Coletti DJ, Dicker R, Padula G, Kane JM: “Adjunctive antipsychotic treatment of adolescents with bipolar psychosis.” Journal of the American Academy of Child and Adolescent Psychiatry, 40: 1448-456, 2001. Kafantaris V, Coletti DJ, Dicker R, Padula G, Kane JM: “Lithium treatment of acute mania in adolescents: A large open trial.” Journal of the American Academy of Child and Adolescent Psychiatry, 42: 1038-45, 2003. Kafantaris V, Coletti DJ, Dicker R, Padula G, Pleak RR, Alvir JMJ, Kane JM: “Lithium treatment of acute mania in adolescents: A placebo-controlled discontinuation study.” Journal of the American Academy of Child and Adolescent Psychiatry, 43:984-93, 2004. Berger-Gross P, Coletti DJ, Hirschkorn K, Terranova E, Simpser EF: “The effectiveness of risperidone in the treatment of children with feeding disorders.” Journal of Child and Adolescent Psychopharmacology, 14: 621-27, 2004. Coletti DJ, Leigh E., Gallelli KA, Kafantaris, V: “Patterns of Adherence to Treatment in Adolescents with Bipolar Disorder.” Journal of Child and Adolescent Psychopharmacology, 15: 913-17, 2005. O’Brien JE, Haley SM, Dumas HM, Ladenheim B, Mast J, Burke SA, Birnkrant D, Whitford K., Coletti, DJ, Simpser, EF, Pelegano J, Neufeld J, Kharasch VS: “Outcomes of Post-Acute Hospital Episodes for Young Children Requiring Airway Support.” Developmental Neurorehabilitation, 10: 241-247, 2007. Coletti DJ, Pappadopulos E, Katsiotas NJ, Berest A, Jensen PS, Kafantaris V: “Parent Perspectives on the Decision to Initiate Medication Treatment of ADHD.” Journal of Child and Adolescent Psychopharmacology, 22: 226-37, 2012. Coletti DJ, Stepanou H, Mazzola N, Gottridge J, Conigliaro J, and Kane, JM. “Patterns and Predictors of Medication Discrepancies in Primary Care.” Journal of Evaluation in Clinical Practice, 21: 831-39, 2015. Coletti DJ, Brunette, M, John M, Kane JM, Malhotra A, and Robinson DG. “Responses to Tobacco Smoking-Related Health Messages in Young People with Recent-onset Schizophrenia.” Schizophrenia Bulletin, 41: 1256-65. Krishnaswamy, S, Coletti DJ, Berlin, H, and Friel, K. “The Effects of Using an Arm Weight-Supported Training System on Hand Function Skills of Children with Hemiplegia.” American Journal of Occupational Therapy. In press.